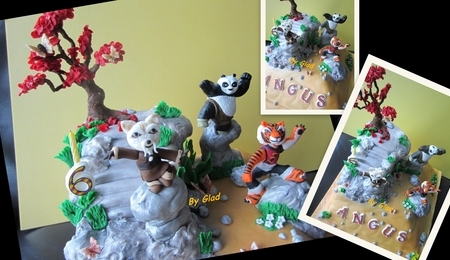 A group of Kung Fu Cakers from over the world joined to celebrate the release of the third movie of Kung Fu Panda. This was my contribution. I love challenges and with this piece I wanted to challenge gravity. 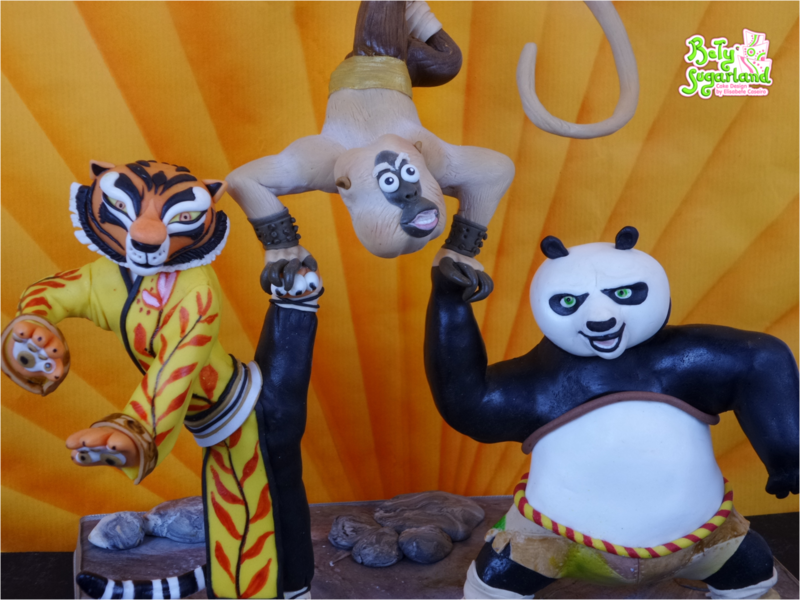 After all the characters of Kung Fu Panda are permanently defying gravity themselves. 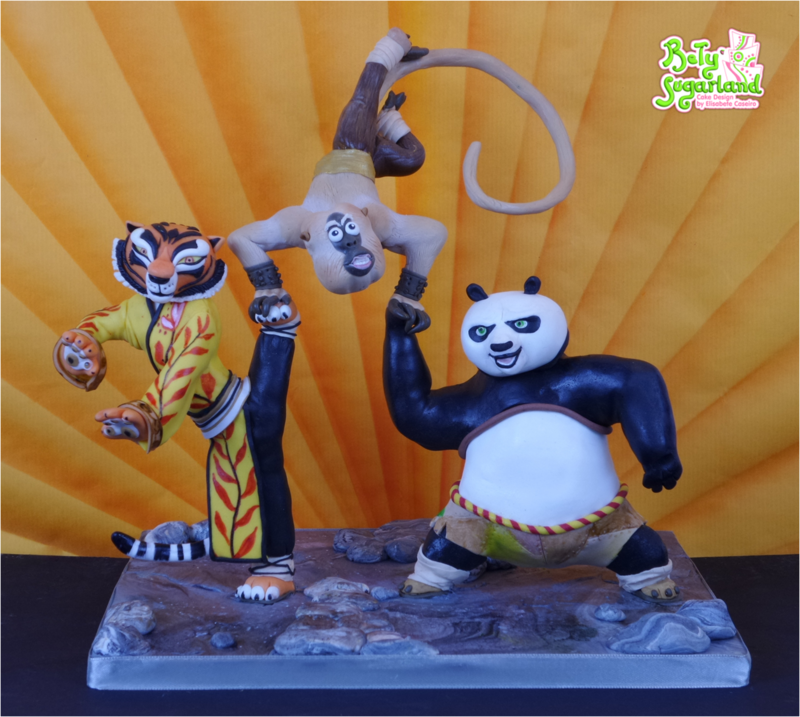 :) So here is Po, Tigress and Monkey in a Kung Fu pose. Your piece is stunning in so many ways! Thank you so much Kyoko! I love this, so perfect!